Review: This wine has nice aromas of strawberry jam and baking spices. On the palate this Zinfandel is odd dry with a nice round body. The jammy notes are joined by bit of black licorice, cedar, and hint of black pepper. The wine has a brisk acidity that prevents it from coming across too jammy or viscous. The fruit and spice linger for a nice finish. I appreciate the depth of flavor and smooth texture Peachy Canyon achieves here. I'm looking forward to trying some of their higher end wines, but for a cold Wednesday night this wine hit the spot. Food Pairing: Zinfandel is super food friendly and highly versatile. I paired the wine with a warm bowl of pasta! Bottom Line: Yummy and affordable. I dig it. 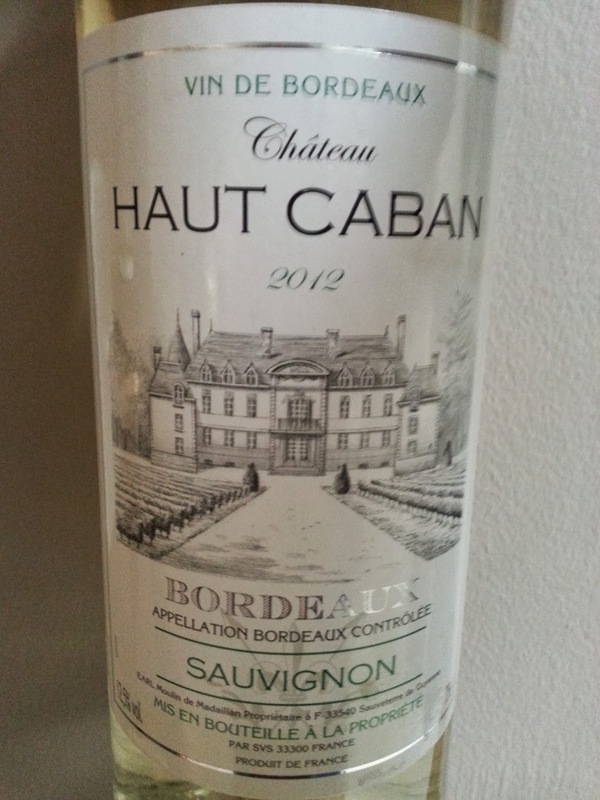 I'm a big fan of white Bordeaux. Usually these wines are Sauvignon Blanc or Semillon -- or a blend of the two in varying proportions. This Bordeaux is 100% Sauvignon Blanc. I saw it for $8.99 at Wegman's and thought I would give it a go. Review: This Sauvignon Blanc is quite fragrant. The nose is full of passion fruit, gooseberries, and candied lemons. On the palate the first thing I noticed was a HIGH level of acidity. It's beyond mouth watering or zippy -- this wine is mouth puckering! The flavors are strong, too, with more lemons and gooseberries, along with some freshly cut grass. The wine has a light body and medium finish. This isn't my style of Sauvignon Blanc -- I tend to prefer less gooseberry and more minerality -- but for $9 it's quite refreshing. Once you get past the acidity it's even pretty easy to drink. Food Pairing: Fishes are the obvious choice. I paired with a flounder stuffed with cheesy crab meat. The high acidity in the wine acted as a nice palate cleanser. Bottom Line: Not bad. Nice texture, decent fruit -- but overall a bit harsh.